If you haven't stashed one of these best eyeshadows in your makeup bag, then you might be familiar with this scenario: You start your day with perfectly made-up eyes. Your lashes are long and lifted, your cat-eye wings are as symmetrical as they'll ever be and your eyeshadow is blended so skillfully that you wish you could give yourself a high five. But a few hours later, you glance in the bathroom mirror to find a pair of shockingly faded, creased eyelids. What was a makeup masterpiece this morning is now a hot mess. We've all been there. The solution? These 12 best eyeshadows. Our readers report that these face-saving products survive the 9-to-5 grind with flying colors. The best part? The No. 1 pick is under $10. 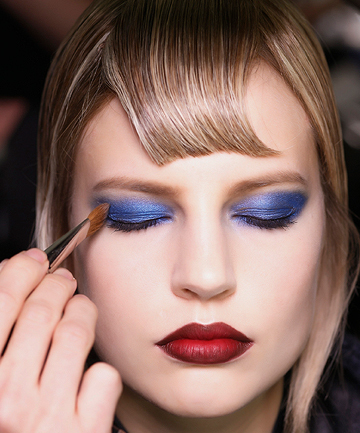 Thank the makeup gods and get yourself ready for 12 glorious game-changers. good read MAC shadows are very good . I love MAC, its awesome. The L'oreal HIP eyeshadows actually aren't that bad. they are a good drugstore brand. Excellent picks here. However, you missed the creme de la creme--"Five-Color Eyeshadow Palette" by Christian Dior. Whether you choose a designer, iridescent, or "lifting" combination, the colors are gorgeous and the shadows blend like butter. It is nearly impossible to make a mistake with this brand; I think Dior sets the bar for eyeshadow! Urban Decay and Mac are good for sure. I tried the Loreal "HIP", and it was NOT good. Urban Decay and MAC are my favorites! I really want to try some NARS shadows too!